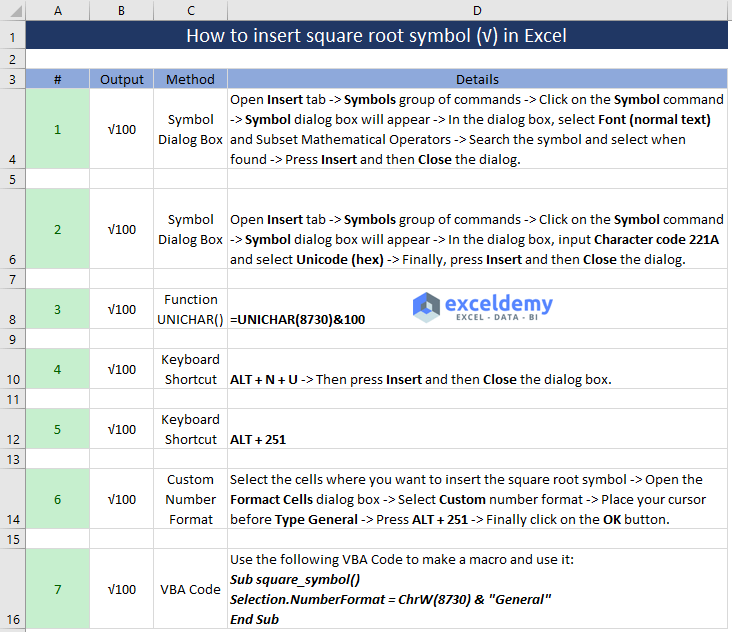 In this article, I will narrate how to insert square root symbol in Excel. 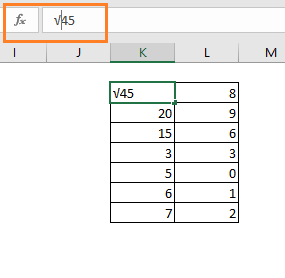 The square root is one of the most used symbols in Excel. I will show several ways. Choose the method that best suits your purpose. At first, select the cell where you want to show the square root symbol. Symbol dialog box will appear. By default, as the Font, (normal text) will be selected. In the Subset (on the right side of the dialog box), choose Mathematical Operators. And you will find the square root symbol. Press the Insert command (bottom-right corner of the dialog box) and then choose the Close You’re done. This process is almost the same as above. Open the Symbol dialog box (Insert tab -> Symbols group of commands->click on the Symbol command). Symbol dialog box will appear. 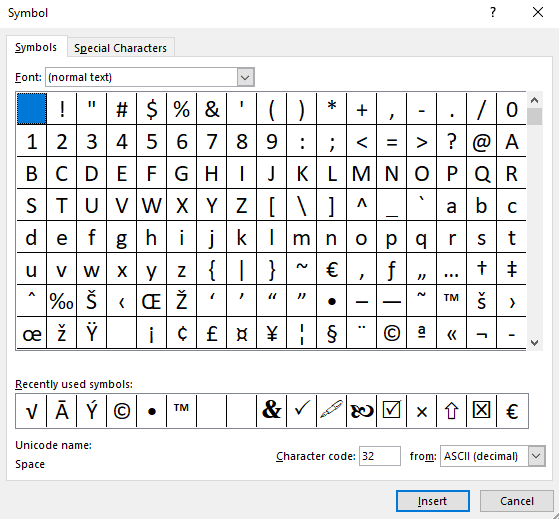 In the dialog box, select Unicode (hex) from the drop-down (at the bottom right corner of the dialog, just above the Cancel button). In the Character code field type 221A. 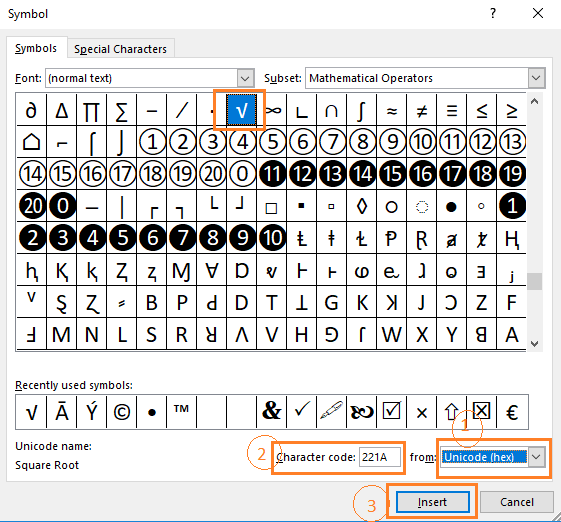 Square root symbol will be selected. Now press Insert and Close button respectively. 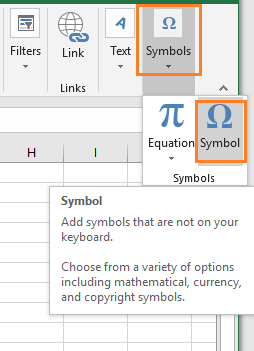 You can also use UNICHAR function (with code 8730) of Excel to insert the square root symbol in Excel. See how I have used this function (image below). 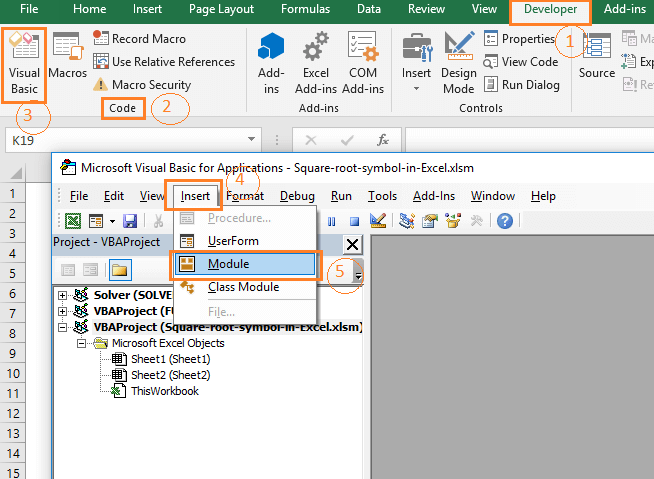 Take a cell to the edit mode and select the position where you want to put the square root symbol. Now press ALT + 251 in the keyboard. The symbol will be placed. Finally, press Enter key on the keyboard. Press ALT + N + U on your keyboard. 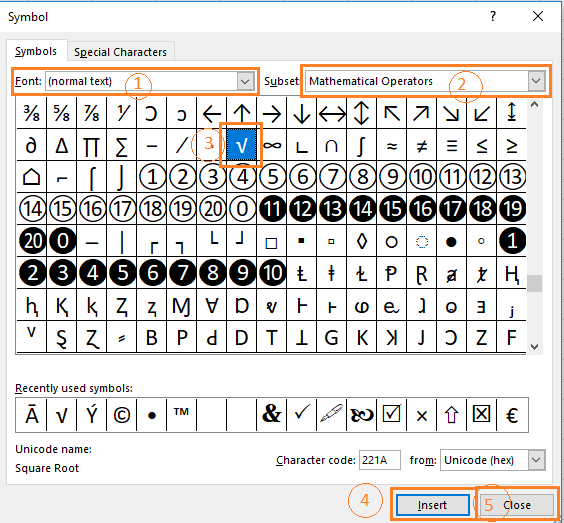 The Symbol dialog box will appear with the square root symbol selected in the dialog box. Now just Insert the symbol and then Close the dialog box. A straight-forward method. 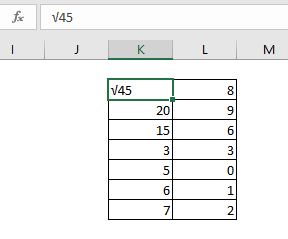 This method and the next one (using VBA) can be used to insert the square root symbol in more than one cell (at a time). 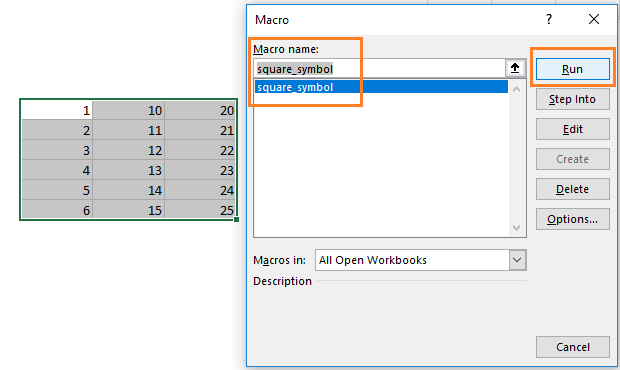 Select the cells where you want to insert the square root symbol. 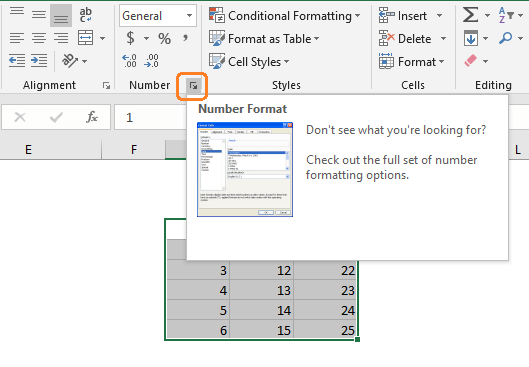 Now open the Format Cells dialog box clicking on the little arrow on the bottom right corner of the Number group of commands. Select the Custom option from the left pane. And put your cursor before the General format and press ALT + 251 on your keyboard. Now press OK and see what has happened. All the numbers are now having the square root symbols before them. 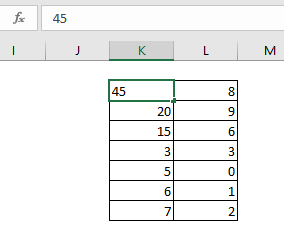 To use this method, you have to save your Excel file with the extension .xlsm. Because .xlsx files cannot deal with VBA code. 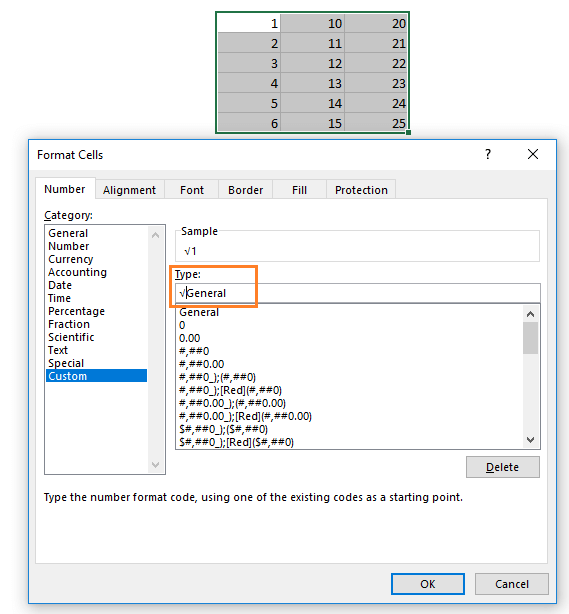 If you don’t like to use VBA code in your Excel file, then avoid this method. In the editor, insert a new module. Now close the Visual Basic editor and save the workbook (CTRL + S). 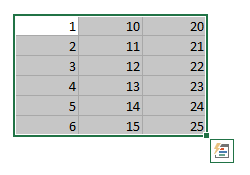 Let’s now select some cells that have some numbers. You see all the numbers now have the square root symbols. 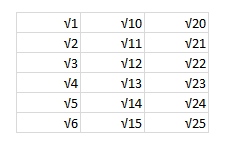 So, these are my ways to insert square root symbol in Excel cells. Do you know any other way? I am eager to know. Let me know in the comment box.